Ever wonder what kind of videogame could be whipped up in 48 hours? Then the Ludum Dare competition is likely to tickle your interest. The Ludum Dare competition is in it&apos;s 22nd iteration, and developers from all over the world throw their hats into the ring and the results are as varied as they are interesting. The time constraint makes for some very different concepts like Alone..., which is about as "meta" as you can get for a Ludum Dare competition. But you stopped over because of Minecraft, didn&apos;t you? Well actually, you stopped by for Minicraft, which is exactly what Notch & Co. came up with, and wouldn&apos;t you know, it&apos;s pretty neat. Things are a bit on the 8-bit side, but they should be, and the scale of the game is totally appropriate. It has many of the things you&apos;d expect. There&apos;s crafting, bars for life and stamina, picks, axes and workbenches. 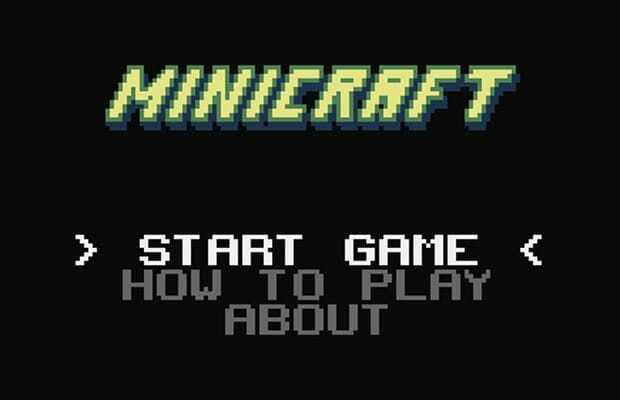 So somewhere between Minecraft, Final Fantasy I and Passage, Minicraft sits. But you should take a little time off and check it out for yourself, and play as many as the other Ludum Dare entries as you can. There&apos;s always a few scattered gems, and more importantly, there&apos;s glimmers into the growing indie game scene. Ludum Dare provides a great canvas for raw talent and innovation to see the light of day.